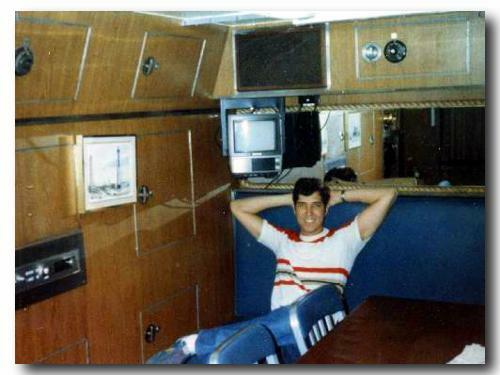 When we made a port call in Halifax, I relaxed in the wardroom after sleeping for about 14 hours. This shot looks forward from the captain's seat at the head of the table. Note the mirror with the hemp rope around it.